Alfa Romeo has planned a revival of the famous 8 C.
The Italian body studio has developed a concept that hints at a possible interpretation of the new generation Alfa Romeo 4C sports car. The revived sports model of the Italian car brand will be presented either this year or the next. The range of Alfa Romeo Giulia can be in line for a motor with more power. It was rumoured that the Alfa Romeo Giulia coupe will come out this year. Now it was reported that the unit will debut in the end of 2018. The latest Alfa Romeo Giulia version will be showcased at this year’s Motor Show held in Paris. 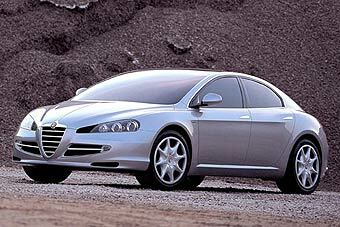 We select only big size alfa romeo 157 photos for our photogallery.